Your home's exterior appearance is just as important as the interior. Landscaping experts can design a plan for your yard and bring it to life. Most people hire landscapers to increase their home's curb appeal. A home that's landscaped nicely stands out. If you ever sell your home, great curb appeal will attract potential buyers to your property. Still, other people enjoy working in the yard, and a nicely landscaped lawn is a matter of personal pride for them. If you choose not to handle your own lawn work, you can hire a landscaping company to complete a number of jobs, other than planting and mowing. Fertilization: This service is also a common benefit of a lawn care package. Companies suggest fertilizing your lawn a few times a year to help it grow thick, but too much or the wrong type of fertilizer can harm your grass. A professional will know that delicate balance. Landscapers calculate the cost by the square foot and the average fertilization package typically costs around $200 to $300 per year. Landscape design: If you just can't visualize what you want your yard to look like, many companies offer design services. They'll pick plants, plant flowerbeds and create the perfect layout for your lawn. This service may be free if you decide to implement the plan. If not, you'll have to pay a fee for the plans. Aeration: Typically done in the fall and spring, aeration pulls plugs of grass, thatch and soil from your lawn. These plugs leave holes that allow the lawn to breathe better. It also allows fertilizer and water easier access to the roots. Aeration costs on a typical lawn fall in the $100 range. Hardscaping: Need a new patio area or fire pit? 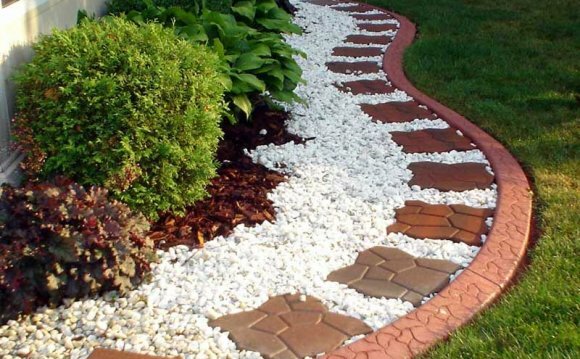 Many landscapers also take on hardscaping projects, such as installing brick or stone pathways. Landscape lighting: If you're so proud of your landscaping that you want to show it off at night, many companies provide exterior lighting options. Lighting is also a great idea along the driveway and sidewalks to improve nighttime visibility. Leaf removal: Raking leaves is a major chore in fall. Many landscaping companies will do this chore for you. Expect to pay labor, hauling and disposal fees. Generally, leaf removal costs about $350 to complete.